Little Emerson Kate may be too young for wine, but her parents are plenty old enough. 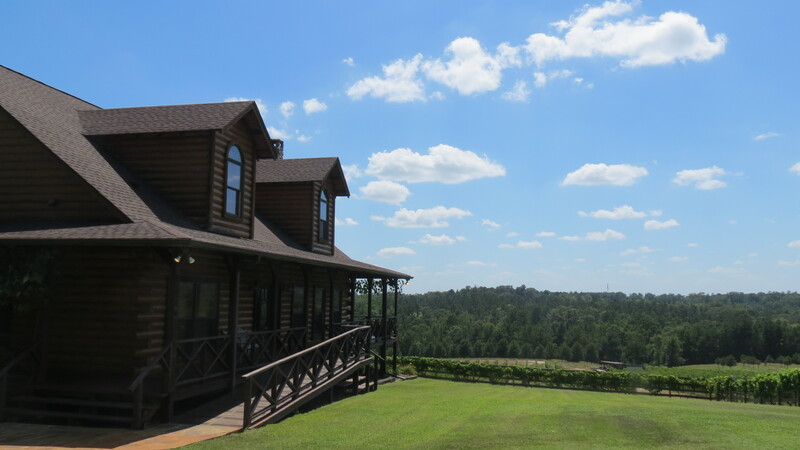 Jessica told me early in the week that her friend Lillie wanted us all to head out to Enoch’s Stomp Winery in Harleton, TX. This trip would be our first with Emerson on the road. It wasn’t a long haul from Shreveport to Harleton, but we didn’t know what an hour + would bring us. The trip started late, as it tends to do when you have a child and a wife. We started the day with some breakfast and some quality time with the kiddo and (honestly it might have been my fault) our dilly-dallying ended up putting us around 45 minutes behind and it was nigh upon lunchtime. So, me being the bear I can be when it comes to not eating, I demanded we stop at the grocery for snacks and a six-pack. Turkey jerky, mixed nuts and Great Raft’s Commotion APA. Sounds like a good call to me. I elected to sit in the back of the Buick with E.K. and let the hens roost up front. I brought H.P. Lovecraft’s collection to keep me company if my travel partner happened to pass out before me. We were all set. We picked up Lillie at her in-laws house on the way out. She dropped her 3 little ones off for the day and we set out. The way over was pretty uneventful; I attended to Emerson while the girls caught up. It was good for both of them to catch up. One of those times where it’s clearly been too long without hanging out. We got to Enoch’s Stomp and saw this giant white suburban that Jess recognized immediately. An old friend, a surprise guest and a welcomed host, as Caroline joined us since she lived in the town over. In route was Jess’s mom and dad as well. We had quite the table. We chose a spot in the shaded patio out front to enjoy the view. 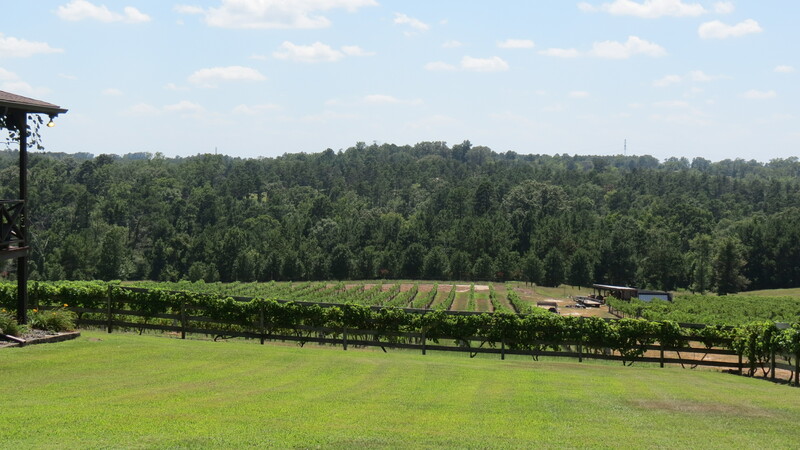 It didn’t feel like east Texas while looking out over the vineyard. Besides the heat, it felt like our time in Napa Valley, CA. They have a great menu for the patio, and I hear an even better one for events. 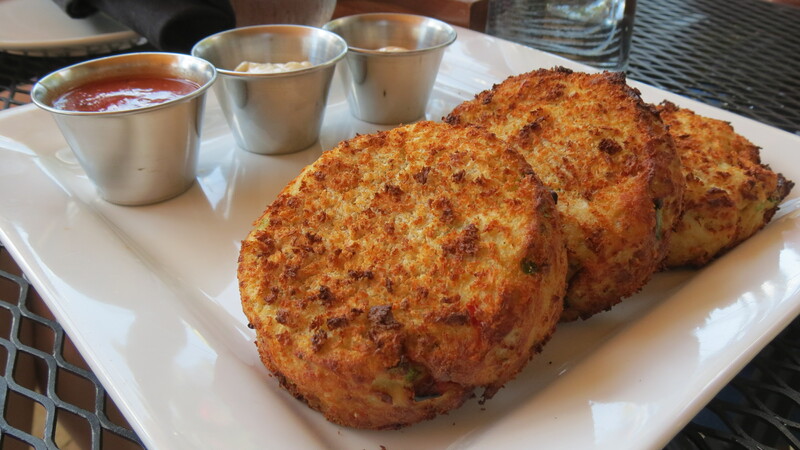 We opted for the crab cakes at Lillie’s instance and my back up. The sauces were the highlight, but I can say I don’t know that I’ve ever had better crab cakes in my life. They were giant and not overly breaded but full of meat. Was it imitation crab or real crab? We’ll never know. Slather those bad boys in the sauces and it doesn’t matter. What wine event of this proportion would be complete without a meat, cheese and fruit plate? None. That’s the answer. 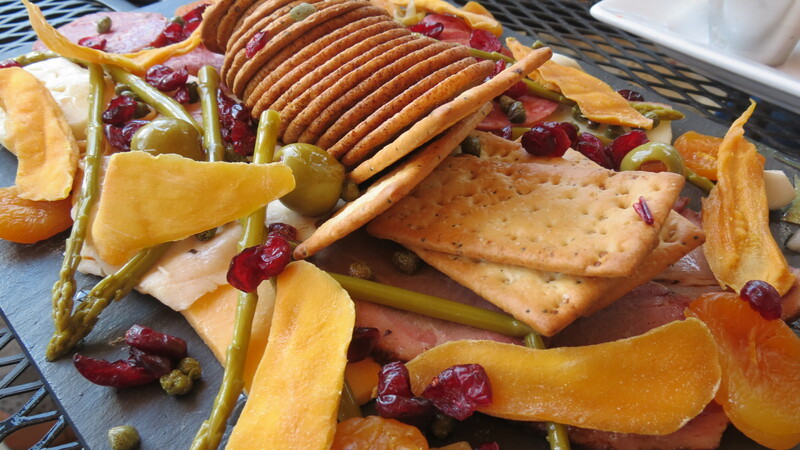 So we opted for the dried mango, asparagus, olives, dried cranberries, various meats, fancy cheeses and delicious crackers. We loved these almost as much as the flies. Perils of hanging out on the patio. So for the wine itself. 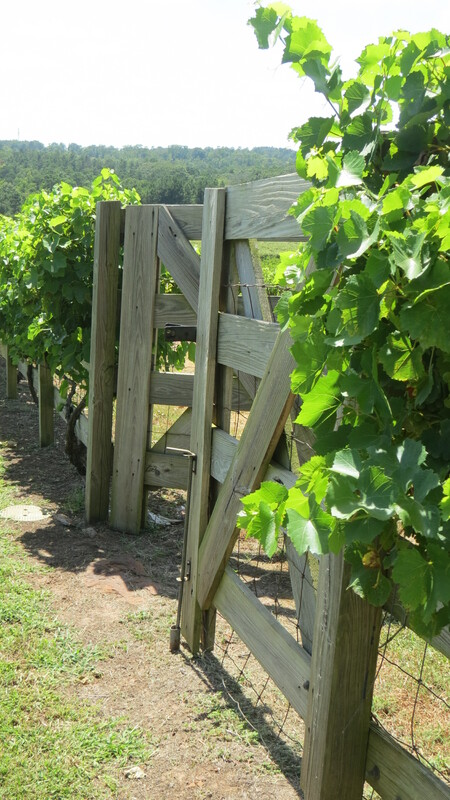 I’ll admit… I, Lee Horn II, am a bit of a wine snob. Maybe not a snob; a sommelier would sniff my charlatan ways out in two seconds. Perhaps I’m just specific in my tastes. I like my darks fruits, dry wines, bubbles and nothing too sweet when it comes to wine. I don’t have a cheap or expensive tastes. Anyhow, I opted for the flight of dry wines. Overall, I think the atmosphere would have trumped any shortcomings of the wine, but there weren’t any shortcomings I remember. Highlight of the day: Jess’s dad taking the wine potion bottles as shots. 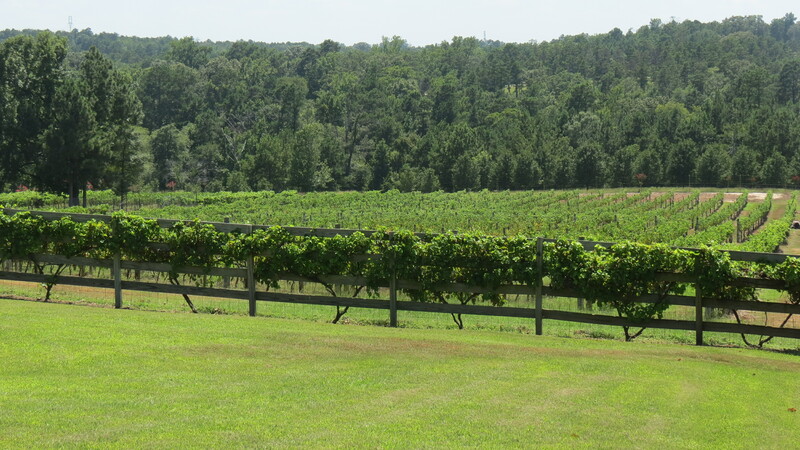 This vineyard would be the first time Emerson ever drank water out of a glass. My glass. And she loved it. Didn’t matter that water was pouring down her face and shirt onto my shorts, legs and into my shoes. She was a big girl. And she couldn’t have been happier. Big thanks to Lille on this one. Enoch’s Stomp is worth a visit.